Japan has joined South Korea in halting all oil imports from Iran in July due to EU sanctions, which restrict the possibility of securing insurance for Iranian oil tankers. According to Reuters, South Korea and Japan together imported 256,000 barrels of Iranian crude per day in May. The European Union has imposed an oil embargo on Iran and made it illegal for European companies to insure tankers carrying Iranian oil. 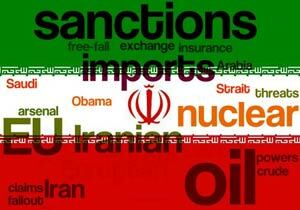 The Japanese government has decided to provide its own insurance for the Iranian shipments but, since early June, Japan has reportedly stopped loading the oil in order to avoid having the vessels make the last leg of their journey to Japan without insurance. The next shipments of Iranian oil to Japan will be loaded in Iran later this month, when Japanese insurance for them will kick in. Iran's Asian oil buyers have significantly scaled down their dealings with Iran, and Reuters reports that, according to its sources, in the past 10 days, no foreign vessels have been loading at the main export terminal at Kharg Island.